Sashi won with a score of 93 out of 100, making him the highest final score winner in MasterChef’s 10 year history. Sashi Cheliah is a 39 year old prison officer from South Australia. He was born in Singapore as the oldest of 7 children, and was introduced to cooking at his mother’s café when he was young. Sashi was originally a highly trained member of the Star Unit in the Singapore Police Force, working in counter terrorism, kidnappings, special tactics, rescue and high profile protection with the riot police. In 2011 he left the police force and moved to Adelaide in Australia with his wife Rabicca and their 2 sons Marcus and Ryan. Sashi can now use his MasterChef $250,000 prize money to help kickstart his dream to have a restaurant featuring authentic Malaysian food presented with local South Australian wines. Sashi Cheliah was born and raised in Singapore, as the eldest of 7 children. For 12 years he worked for the Special Tactics & Rescue unit of the Singapore Police Force. Sashi is married to a nurse, Rabicca Vijayan, and they have 2 sons. They moved to Adelaide in 2012. His interest in food began by watching his mother, a cafe owner, and aunties prepare family meals. 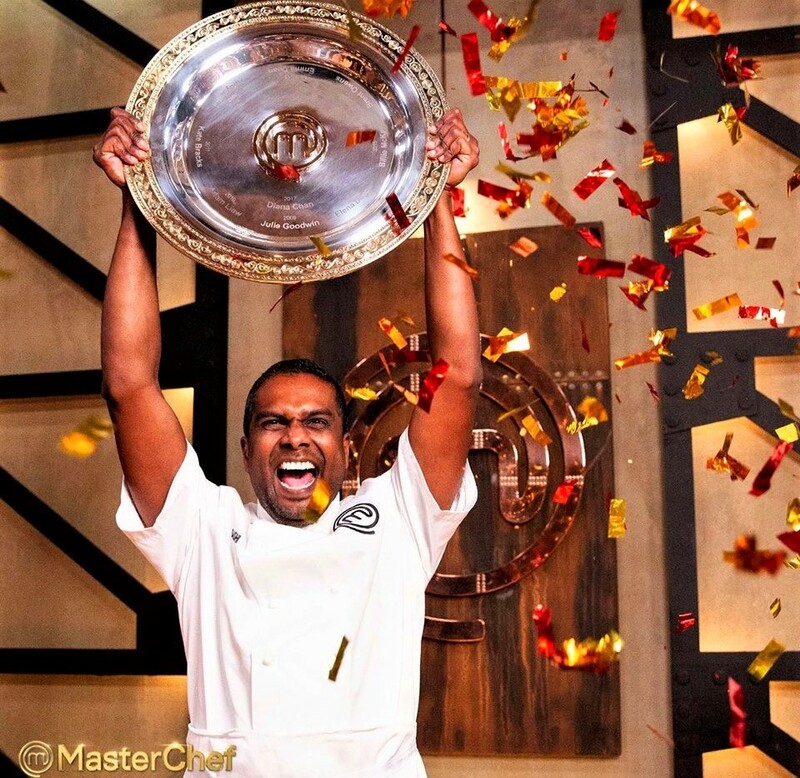 Sashi won the MasterChef $250,000 prize money with the highest recorded win in history, with 93 points out of 100. After MasterChef he started a pop-up restaurant named Gaja by Sashi in the Melbourne CBD, serving Singaporean dishes (until November 2018). Diana Chan was born and raised in Malaysia, as the youngest of 3 children. She learned to cook by watching her parents prepare Peranakan and Cantonese food. She moved to Kuala Lumpur to complete her Cambridge A levels at the age of 17, and upon matriculation, she moved to Melbourne, Australia where she completed a Bachelor of Commerce degree at Deakin University in 2010. After qualifying as a chartered accountant, she worked for Deloitte as a senior analyst. Diana won the $250,000 MasterChef Australia prize money after defeating Ben Ungermann by only 1 point. Since winning MasterChef Diana she has worked to promote tourism in Malaysia, launched a column in Delicious Magazine, and often demonstrating her cooking style at events in Malaysia and Melbourne. Heston Blumenthal cooks on MasterChef Australia… Heston Blumenthal is an award winning celebrity chef from London, and regular guest on the show. He is the owner of various restaurants, including The Fat Duck, one of five restaurants in Great Britain to have 3 Michellin Stars. It was voted No.1 in the World’s 50 Best Restaurants in 2005. One of Sashi Cheliah’s previous jobs before becoming the highest score winner of MasterChef, was with the Special Tactics and Rescue unit of the Singapore Police Force aka STAR, where he trained in tactics, rescue operations, counter terrorism, kidnappings and high-profile protection in the riot police. Sashi Cheliah started a pop-up restaurant named Gaja by Sashi at HWKR Food Centre in the Melbourne, serving Singaporean dishes (until November 2018). by Sashi (Facebook video). 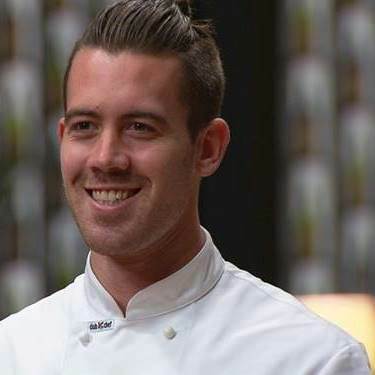 ..
Brent Owens won the title of MasterChef Australia 2014, which also included prizes of $250,000, an Alfa Romeo Giulietta, and a book publishing deal. The Runner up was Laura Cassai. incredible Finale highlight, plus Brent and finalist Laura discuss their time on the show, and what the future holds, on Studio 10 (YouTube video)… Watch the full finale episode (107minutes) of MasterChef – Series 6 Episode 60 Grand Finale ~ Monday 28th July 2014 ~ TenPlay.com.au ~ See the massive finale played out in a culinary duel over 3 rounds for the 2014 Australian title, plus prizes of $250,000, an Alfa Romeo Giulietta, and a book publishing deal. Prior to competing in MasterChef, Brent Owens was a bobcat driver, and played Australian rules football for Melton South Football Club in the Ballarat Football League (www.BFL.VCL.com.au). Brent has been in relationship with his high school sweetheart Madison Ancrum since 2008. She was the one who convinced him to sign up as a contestant on the show. Brent joined the workforce at the age of 18 and worked for Madison’s father’s excavation business. Brent Owens bought a house at the age of 19. BRENT’S COOK BOOK out now!.. DiG iN! 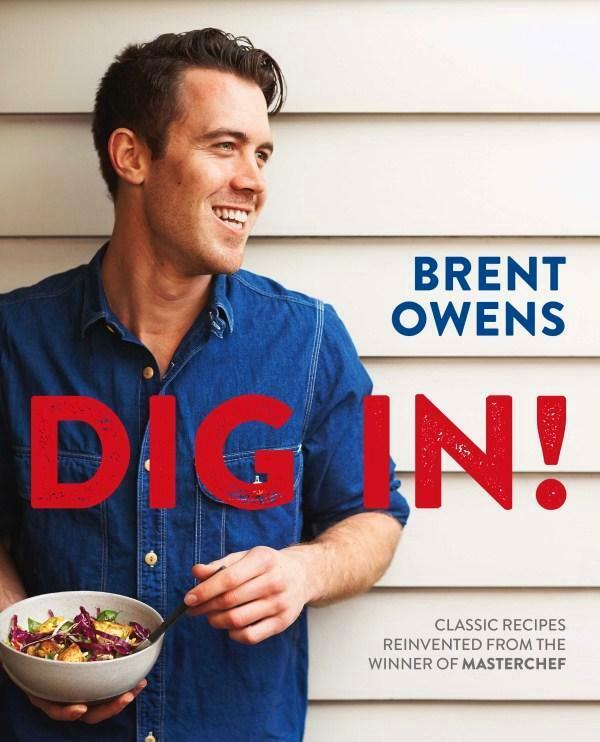 features Brent’s original recipes, with chapters on entertaining with friends, quick meals, best breakfasts, Brent’s winning recipe favourites, with his trademark taste and simplicity to Australian classics. This cookbook is an inspiring collection of dishes that will spark the fire in thousands of home cooks around the country. MasterChef Australia is a Logie Award-winning Australian competitive cooking game show based on the original British show. The Australian version is produced by Shine Australia and screens on Network Ten. Restaurateur and chef Gary Mehigan, chef George Calombaris and food critic Matt Preston serve as the show’s main judges. The first episode aired on the 27th April 2009, and the series one finale was broadcast on the 19th July 2009. The first winner was Julie Goodwin, a 38 year old I.T. office manager. The second series in Australia premiered on the 19th April 2010. The winner of the 2010 series was Adam Liaw, who won by a seven-point margin over his opponent Callum Hann. The third series in Australia went to air in 2011, and was won by Kate Bracks. The fourth series premiered on the 6th May 2012, and was won by Andy Allen. The 5th series in 2013 was won by Emma Dean. The show is the most watched television series in Australia, with the season 2 finale being the 3rd most watched show in Australian television history. The Australian also won a Logie award for ‘Most Popular Reality Program’ in 2010. Many other countries also broadcast the Australian version, either dubbed or with subtitles. Australian applications for 2015 are open ~ Gary Mehigan, George Calombaris and Matt Preston want your application! If you have what it takes to become the 2015 winner, they want to hear from you. Apply now!.. MasterChef originated in the UK, and originally ran between 1990 and 2001. The show was later revived by Franc Roddam and John Silver in 2005 as MasterChef Goes Large, until 2008 when the Goes Large was dropped from the name. The show format is now produced in more than 40 countries, and airs in at least 200 territories. The format has appeared in 4 major versions: the main series, MasterChef: The Professionals for professional working chefs, Celebrity MasterChef featuring well known celebrities as the contestants and Junior MasterChef. 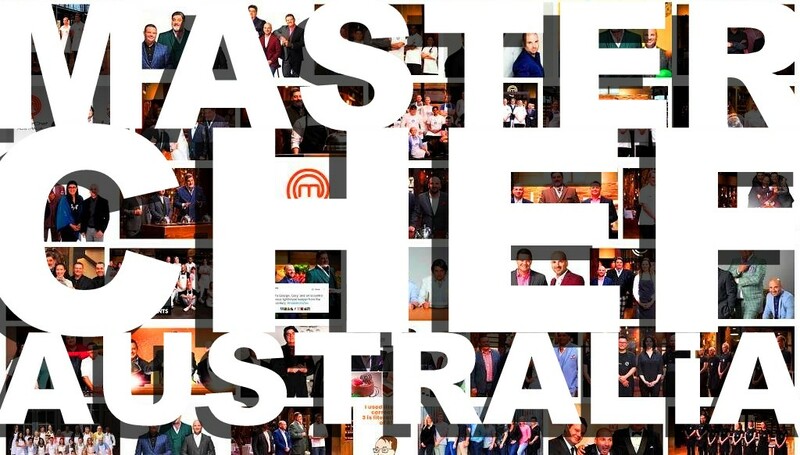 Australia created a 5th version called MasterChef All-Stars in 2012, for former contestants to raise money for charity. The revived format is sold internationally by the Shine Group production company. Applications are now open in Australia. If you have what it takes to become the 2016 winner, they want to hear from you now.. apply now!..